First published 13 November 2014 (IRIN) - Meet Bitcoin: An encrypted digital currency the value of which has fluctuated sharply in recent years. It does not exist physically, there is no authority that oversees it, and you need Internet access to manage it. This might not sound like a formula for humanitarian success. However, experts say, Bitcoin offers important lessons for aid delivery in situations with weak (or destroyed) institutions. For example, Bitcoin has been used in a small way to raise money for the Ebola response in Sierra Leone: Funds donated digitally were exchanged in the US and wired to NGOs on the ground. However, Mas insisted, Bitcoin is not just a type of money, but a system of how money gets shared: “It’s a currency, which is complicated and volatile and probably not going to work out in the long run. But it’s also a protocol, a way in which we exchange money peer-to-peer.” In a paper entitled "Why you should care about Bitcoin - even if you don’t believe in it", Mas argued that the five-year-old virtual currency’s “key engineering elements offer us the possibility of imagining a radically different approach for architecting electronic payment systems”. For aid distribution, such “radical” ideas could influence the way money is transferred to (and between) people in need. Electronic cash transfers - often by SMS - have become an increasingly popular aid tool in recent years. A 2014 World Bank and Gates Foundation report argued that the “rapid development and extension of digital platforms and digital payments can provide the speed, security, transparency and cost efficiency needed to increase financial inclusion.” One third of all World Food Programme (WFP) food assistance is now given in the form of cash or vouchers. The Cash Learning Partnership’s (CaLP) “Cash Atlas” lists 592 projects with more than 23 million beneficiaries around the world. But cash transfers - from agencies to people, governments to people, or people to people - are rife with rip-offs and complications. In short, they depend on institutions that do not necessarily work in their favour. For example, in some parts of Africa where cash transfer infrastructure is dominated by one or two companies, up to 12 percent of the money is lost to transfer fees. And cash transfers via SMS have been accused of cutting costs for aid agencies, but shifting risks onto vulnerable recipients. This is where Bitcoin (or other crypto-currencies) - which have only negligible associated costs and require no institutions - could spark change. “Bitcoin will have a huge impact on the world - on how money moves around,” said Mas. Why use digital currency instead of hard currency? Kenya’s mobile phone-based monetary system M-Pesa has made in-country transfers much easier and cheaper. But regulatory systems that mandate that all international transfers be made through conventional banks limit such applicability internationally. Bitcoin is not affiliated with any government, but its legality remains varied around the world, and governments have reacted with everything from all out bans to cautious permissions. For example, in March 2014, Mexico’s central bank banned the domestic use of digital currencies; that same month the government of the Philippines, one of the world’s most disaster-prone countries, issued a warning that Bitcoin was both unregulated (making investments impossible to insure against fraud or bankruptcy) and highly volatile, but stopped short of attempting to regulate it. A new Bitcoin Wallet app was launched in October designed to target the Philippines’ huge remittances market. 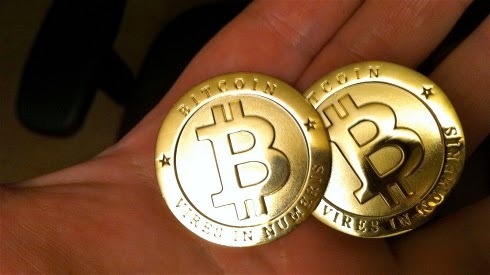 At a 2013 briefing hosted by the World Bank and the Global forum on Law, Justice, and Development, David Mills, an economist, cautioned that Bitcoin may be more prone to use in illegal transactions, vulnerable to theft (akin to carrying a large amount of cash on one’s person), and also to cyber-attacks. Emory Krober, deputy director for strategic policy in the Office of Terrorist Financing and Financial Crimes at the US Department of the Treasury, countered: “Virtual currencies are not necessarily riskier than any other electronic payment system.” What to spend it on? Despite the promises of security, transparency, and rapidity in distribution during a humanitarian crisis, Bitcoin-style digital currency use would be limited to marketplaces that accept the currency (online merchants, for example) or the sufficient construction of currency exchange points that can turn it into useable cash. For humanitarians, digital currencies such as Bitcoin raise questions of effectiveness, efficiency, accountability, and sustainability. But the jury is still out on Bitcoin’s benefits. IRIN looks at the issues. The US Department of the Treasury calls Bitcoin a “decentralized virtual currency”. The label highlights its key aspects: it is a currency with value, and it exists completely and solely online. Or, as a US public radio podcast, Planet Money, explained, “Everybody who uses Bitcoin has a digital wallet. And when you buy something you send your coins to someone else’s wallet, [for example, an online merchant or another person].” Each coin is encrypted and unique, meaning exchanges cannot be duplicated.